Van Kempen brings the captivating beauty nature to these Art Nouveau stud earrings. 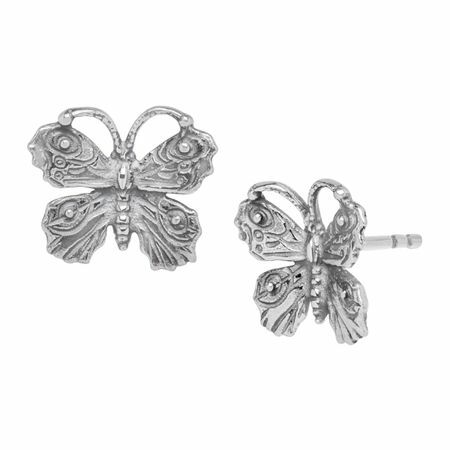 These earrings feature butterfly designs and are set in sterling silver. Pieces measure 1/2 by 1/2 inches.